For more information on rip currents and beach safety, read this news release. As Memorial Day approaches, a busy beach season is on the horizon. So, too, is Rip Current Preparedness Week, which kicks off June 7. 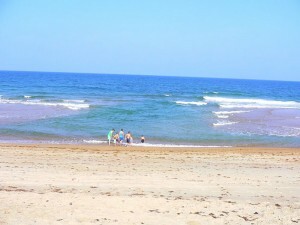 Oak Island already has reported the May 12 death of a swimmer likely caught in a rip current a day earlier, stressing the importance of avoiding rip currents and knowing how to escape if caught in one. During the designated week and all season, partners will highlight how to stay safe while enjoying our beautiful beaches. Collaborators in North Carolina include local ocean rescue teams, North Carolina Sea Grant, National Weather Service forecast offices and beach communities. “Beaches are pretty safe places for recreation but the primary exception on most ocean beaches is rip currents,” explains Spencer Rogers, Sea Grant coastal construction and erosion specialist. Data-logging drifters are used to monitor rip currents. Photo by Kurt Christiansen, courtesy North Carolina Sea Grant. 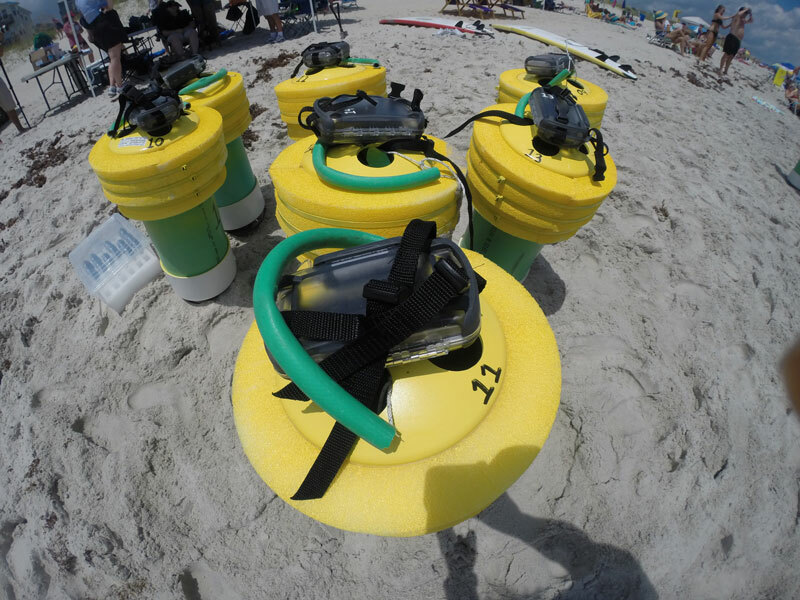 Last summer, Rogers, along with University of North Carolina Wilmington graduate student Cobi Christiansen and a variety of partners, deployed data-logging drifters on beaches in New Hanover County and along the Outer Banks. Their goal was to record the frequency of rip currents that circulated back to shore. Previous research on California beaches showed that 10 percent of the drifters were ejected into deeper waters and did not circulate back to shore. The circulation cells were also found in North Carolina rip currents. The circulation sometimes continued for several laps but more often than not, ended with an offshore ejection. In those circulation cells, swimmers caught in rip currents could keep calm and float — and eventually be brought back toward shore, by the water flow. Rogers says the North Carolina data offer a big question: “What threshold of ejections can you tolerate? If you’re only losing 10 percent of the people, is that an acceptable reason to say float? It’s not,” Rogers says. “If there is any real likelihood of an ejection, you pretty much have to tell people to try and get out of it,” he explains. He cites the long-told advice to stay calm but also begin to swim parallel to the shore until out of the rip current, which is normally fairly narrow in width. The NWS forecast offices serving the N.C. Coast provide daily rip current forecasts, ranging from low to high threats. These data also are used to further rip current research. RIp currents are strong currents moving away from shore. Photo by Dave Elder. The Sea Grant research project will be featured on North Carolina Science Now on May 20, within UNC-TV’s North Carolina Now program that airs at 7:30 p.m. After the broadcast, viewers can watch online at http://unc.tv/predictrip. The research also will be featured in the Summer issue of Coastwatch, North Carolina Sea Grant’s flagship publication. Rogers and partners will continue their research this summer, including near Rogers’ office in Wilmington, along with drifters stationed at the Outer Banks and others loaned to colleagues in South Carolina. Overall N.C. rip current research project partners have been: North Carolina Sea Grant; UNCW Center for Marine Science; NWS Wilmington Forecast Office; and Town Lifeguard Programs in Carolina Beach, Wrightsville Beach and Kure Beach. Nationally, NWS now promotes seasonal safety campaigns. The Summer Safety Campaign begins June 1. This campaign will focus not only on rip currents but also other seasonal hazards such as hurricanes, thunderstorms, heat, lightning, air quality and wildfire.